How to: Setup a wireless bridge between WLAE-AG300N with none-Buffalo wireless router. - Details of an answer | Buffalo Inc.
How to: Setup a wireless bridge between WLAE-AG300N with none-Buffalo wireless router. Get the existing router's wireless connection profile. Record the wireless profile of router : SSID, Encryption method, abd Encryption key. Connect WLAE-AG300N power cord to power outlet. Confirm Wireless LED (Green or Orange) and Status LED (Green) is ON. *If LED is not ON, Turn the unit over and press power button. 5. 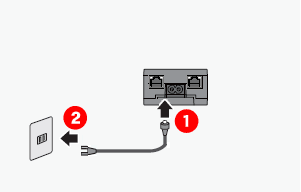 Plug the Ethernet cable supplied with the unit to the Ethernet port on your PC and the other end to the unit's LAN Port. Start by Installing the Ethernet Converter Manager application on your Windows PC. 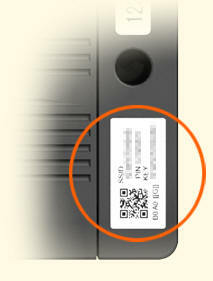 Record WALE preset Wireless profile which is on tag attached to the unit. 8-1. Run the tool from start menu. Open the Ethernet Converter Manager by clicking on Start-Programs-Buffalo- AirStation Utility-Ethernet Converter Manager. 8-2 Select Wired adapter from the list of adapters if PC your PC has multiple adapters. EC Search Results will list all WLAE devices connected to this PC. If there is more than one WLAE in the list, select the MAC address belonging to the one you would like to configure. To connect the WLAE to another Access Point, open Connection Settings by clicking on the Connection Settings button. To connect this WLAE to another AP, click the Scan button for a list of available Access Points (AP). Select an access point from the list or enter the SSID of the target AP in the field below. Next, select the encryption method and enter the encryption key for the target AP. Click OK when you are done. You are now connected to the wireless network. For more detail information, Click the "View User Manual" button.